I had a few more Blogoversary giveaways heading your way but I didn’t find the time to post them. So a couple more are coming up this week. 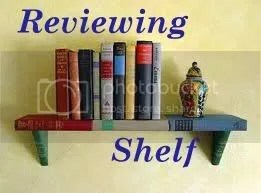 Today on Reviewing Shelf, we have Sheila Kelly Welch, the author of Waiting to Forget, a book I read and liked this year. Read my review here. Welcome Sheila! Thanks to Pragya for inviting me to write this guest post for her fabulous blog. realistic fiction for children and YA readers. parent has convinced me that realistic books can give children a view of the world that’s wider than their own, and these books might even help them deal with life’s situations as they encounter them. However, until recently, I wasn’t sure how young readers were responding to my books. Although I write for kids, most of the reaction to my work comes from adults. It’s strange but true. Children’s authors have two very different audiences: adults who are judging the writing for children, and children who are judging it for themselves. Reviews by adults of WAITING TO FORGET, my 2011 novel for ages ten to fifteen, have been quite positive. But a few have questioned whether children could handle the shifts in time, back and forth between present and past, in this story. Some adult readers also have been very critical of the birth mother character named Celia. In WAITING TO FORGET, twelve-year-old T.J. is at the hospital, wondering if his little sister, Angela, unconscious after a fall, is ever going to wake up. While he waits, T.J. remembers the difficult life they led with their birth mother before they were adopted almost a year before. He doesn’t feel as if he belongs with these new parents, and he’s not ready to forget his other life. Gradually, the past catches up to the present, and T.J. realizes he is ready to move forward into the future. I was expecting negative reactions to the character of Billy, the kids’ mother’s abusive boyfriend. What has surprised me is the antipathy expressed toward Celia, the mother. Many adult readers say they are angry with her and hate her and that she is the poster girl for everything they despise. Not only are they angry with Celia, but they want her punished, or to admit her mistakes and take responsibility for her poor parenting. A few of these adults have been quite frank in saying they don’t think the book is for kids. They want children protected from a mother such as that — even if she’s just a character in a book. Some adults seem to feel that children’s books should be written with the express purpose of teaching kids how to behave through the correct actions of the characters. When I wrote this novel, I was thinking about four of our seven children who led traumatic lives before we adopted them. I felt that WAITING TO FORGET was definitely a fictional book that kids would appreciate. So, when a middle school class was using my book in their language arts studies, I was thrilled to be invited to visit them via Skype. I was astounded at the reactions I received from these twelve-year-olds. All but one of them found the time shifting easy to follow. They asked perceptive questions about the way I developed the characters and plot. They also answered my questions with thoughtful consideration. Although they realized that Celia was an inadequate mother, they expressed empathy for her and even wondered if I was planning to write a prequel about Celia’s childhood. I found it very gratifying to discover kids who really understood my story on as deep a level as most adults. Fortunately, these young readers have confirmed my belief that kids can be thoughtful and empathetic and that they are capable of profound thinking about what they read. Receiving feedback from my intended audience has been a great privilege and has inspired me to continue writing stories that I hope will connect with kids. I plan to have a new novel, working title, IN A SOMETIMES PLACE, finished soon. Thank you so much Ms. Sheila for this wonderful, thought-provoking guest post. It raises so many questions. Truly, every book is ‘to each his own’ and we can’t predict who will and won’t like a book. Thank you for being here today. It was a pleasure having you on Reviewing Shelf. Blurb: T.J. has always looked out for his little sister, Angela. When Momma used to go out and leave them home alone, he’d lock the door so they’d be safe, keep Angela entertained, and get out the cereal and milk for her. When Momma’s boyfriend got angry at them, he’d try to protect Angela. Later, at their foster homes, T.J. was the only one who knew how to coax his little sister out of her bad moods. The only one who understood why she made origami paper cranes and threw them out the window. But now T.J. is sitting in the waiting room at the hospital, wondering if Angela, unconscious after a fall, will ever wake up. Wondering, too, if he will ever feel at home with his and Angela’s new parents—Marlene, who insists on calling him Timothy, and Dan, who seems to want a different son. Going back and forth between Now and Then, weaving the uncertain present with the painful past, T.J.’s story unfolds, and with the unfolding comes a new understanding of how to move forward. When I went to Temple University in Philadelphia, I majored in fine arts and also received a master’s degree in education. In the next few years, my husband, Eric, and I began to raise our family. We bought and sold a farm in Minnesota, I taught school, and Eric decided to become a librarian. Then, in 1981, I had open heart surgery. With my artificial valve ticking away, I knew that if “someday” was ever going to arrive, I’d better get busy. My first short story was published in 1983. Since then my short stories, often accompanied by my illustrations, have appeared in a number of magazines including Cricket, Children’s Playmate, Girls’ Life, The Friend, Ladybug, Cicada, and Spider. Several of my short stories have been published in language arts textbooks. I’ve also written and/or illustrated fourteen books for children of various ages. Now I live in the country near Forreston, Illinois with my husband and a menagerie of pets. We have seven grown-up children and seven grandchildren. I enjoy volunteering at the local animal shelter and visiting nursing homes with my certified therapy dog. Raven and I also participate in the “Paws for Reading” program at the library. Children read aloud to the dogs. I often do school and library presentations as well as sign my books and present special programs at bookstores. My newest book will be published soon by namelos. WAITING TO FORGET begins and ends in a hospital, but in between, readers will learn about T.J.’s other life, before he was adopted, and why his little sister is lying unconscious in the Emergency Room. Thanks for all your comments. I hope that all of you who would like to read this novel will be able to find it at a library if you don’t own it. If you decide to review it, please post to Amazon and Goodreads. I appreciate your interest. Thank you for stopping by, Sheila! This sounds like such an interesting read and it’s wonderful that it was inspired from a very personal level! I’ve been reading a lot of readers’ comments about books that are eligible for the 2013 Newbery Award, and it’s fascinating how different people can have such varied responses to the same books. Although a really poorly written story with all sorts of grammatical mistakes, clumsy use of language, plot inconsistencies, etc., might be easy to spot and dismiss, the distinction between a “good” book and a “great” book is often determined by the taste of an individual reader (or readers on a committee, as is the case for the Newbery). 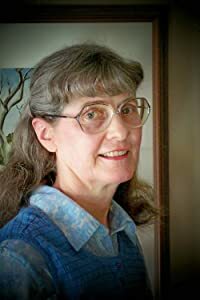 But it’s fun to discuss books and think about not just their content but the manner in which they are written.Thanks, Denise, for commenting on my guest post, and I hope you have a chance to read my books sometime. Thanks to YOU, Sheila. Great to see you stop by and you are absolutely spot-on about readers’ varied tastes and preferences. Thank you Denise. 🙂 It is a very meaningful story indeed.